In 2011, the speed limit was reduced to the default 100 km/h on numerous rural roads within 100 kilometres of Adelaide and on the Yorke Peninsula. Download a map (1 MB PDF) showing the roads affected. Download a list (140 KB PDF) of the road sections affected with estimated changes in travel times. Speed limits on 45 sections of State rural roads (723 kilometres in total), were reduced from 110 km/h to the default rural limit of 100 km/h. A further 7 local government road sections (totalling 141 kilometres) were also identified in this area for the speed limit reduction. Councils supported the reduced limit on the roads they are responsible for so that signs could be changed at the same time as the State roads. 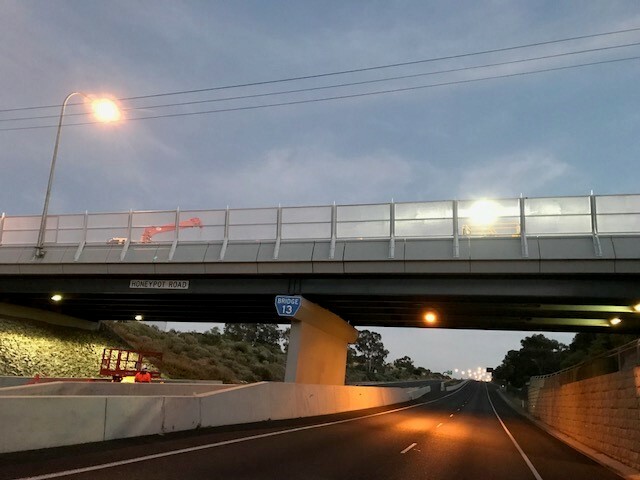 The speed limit changes do not apply to national highways or freeways such as the Northern Expressway, Port Wakefield Road, The South Eastern Freeway and Sturt Highway. Why was the speed limit reduced on these roads? The speed limit was reduced on these roads to save lives. Evidence from around Australia and the world tells us this reduction in speed limits will prevent the premature death of South Australians. It is estimated that reducing the speed limit from 110 km/h to 100 km/h on all these roads could save 12 casualty crashes per year. Between 2006 and 2010, there were 290 casualty crashes on these roads. 22 people died with a further 121 sustaining serious injuries. Six of the fatalities occurred on the Yorke Peninsula. To achieve a 30 percent reduction in serious casualties by 2020 as outlined in the South Australian Road Safety Strategy - Towards Zero Together it is crucial that we target known risk areas with proven road safety treatments such as lowering speed limits. The 2011 ‘Now 100’ changes follow on from changes in July 2003, when speed limits on approximately 1,100 kilometres of rural roads in South Australia were reduced from 110 km/h to 100 km/h, contributing to 20% fewer casualty crashes on those roads. Reducing travelling speed reduces the risk of crashing and the severity of injury if a crash occurs. It takes much longer for a braking vehicle to stop at 110 km/h, with 21% more kinetic energy produced by a vehicle travelling at 110 km/h than 100 km/h. While the driver is still reacting – even before braking starts - a vehicle travelling at 110 km/h moves 10% further than if travelling at 100 km/h. After a vehicle travelling at 100 km/h has stopped, a vehicle travelling at 110 km/h will still be travelling at 50 km/h, and requires a further 14 metres to stop. Lowering the speed limit is one way to reduce the number of crashes, and the severity of injuries when crashes do occur. Safe system principles are used to integrate safer speeds with other methods of intervention including improvements to road infrastructure, driver behaviour and vehicle technology. View more information on safer roads. Over the last five years, the department has invested over $17 million into improving the 45 State Government roads that are affected by the speed limit change, for example installing safety barriers and shoulder sealing. $110 million has been invested on arterial roads across the State over the past five years through the Rural Road Safety, Shoulder Sealing, Responsive Road Safety and State Black Spot Programs. $371 million has been allocated to rural road maintenance over the same period. For a trip of 100 kilometres in length, travelling at 100km/h uses about 8% less fuel than at 110km/h. This equates to a saving of approximately 10 cents per litre of petrol. Lower speeds reduce the amount of carbon dioxide produced by a vehicle, producing less greenhouse gas emissions (the main cause of global warming) than higher speeds. Using less fuel also helps to reduce consumption of non-renewable energy. Reducing the speed limit on sealed roads in rural areas will result in greater consistency of speed limits across the state, and mean that more rural roads have speed limits that reflect the default limit of 100km/h for this road type. Travel times on this type of road do not increase by the same proportion as the reduction in the speed limit, i.e. reducing the speed limit by 9% does not lead to a 9% increase in travel times. The effect on travel times can be as low as 4%, depending on factors such as the presence of other traffic on the road, and road characteristics which restrict speed. Even under a scenario in which these roads could be travelled uninterrupted at the speed limit, a reduction from 110 km/h to 100 km/h does not result in significantly longer travel times. The increase in travel times for some common trips is shown in the table below.